As we set up our new home, I want to get really organized. So I have goals for each room and each cupboard. So far I have done our pantry and linen cupboard. 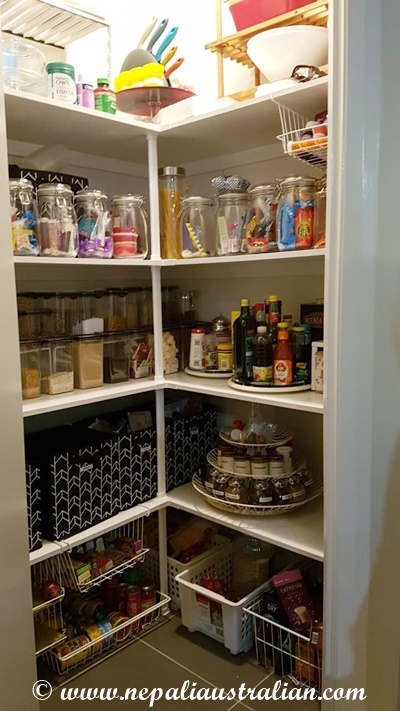 In the pantry, I am using lots of baskets and lazy Susan and storage containers to have easy access to everything. All the containers are see-through and all baskets are labeled so AS and I know where everything goes. It is so true that if you have room and place for everything, then the pantry will never be messy and that is what I want to achieve. With spices, as 12 jars are not enough, I made my own spice rack with 3 tier fruit basket with a lazy susan under it. I used small clear glass jars with labels to know exactly what each jar contains. I am so happy about this particular trick and I got inspired from the Facebook group called Mums who organise. I am also using lazy susans to store all sauces and spreads so they are easily accessible. 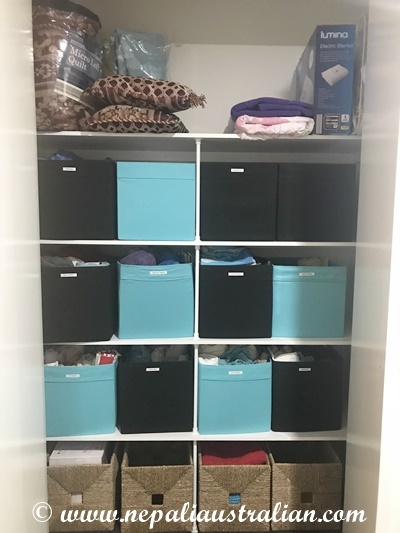 With the linen cupboard, I am separating items by size so I have a basket for queen sheets and single sheets and hand towel and bath towel and cot sheets. This way I know which basket to go for when I am looking for something. So far I am happy to have achieved what I have planned. Next will be the kitchen storage cupboard and all our bathroom. Please share your tips and tricks to organise the house. I would really appreciate it. 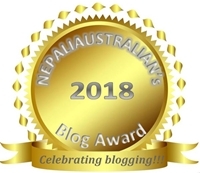 P.S: Do not forget to nominate your favorite blog .